Recently, a friend of mine who is also an editor at Abrams (of which STC is a part) showed me a book she edited that fascinated me. It's called Russian Textiles. It focuses on printed-cotton fabrics created and manufactured in Russia from about 1860 to 1960, specifically for export to Central Asia, as well as the political, economic, and cultural ties between Russia and the Central Asian region (which includes Uzbekistan, Kazakhstan, Tajikstan, Turkmenistan, and Kyrygystan). 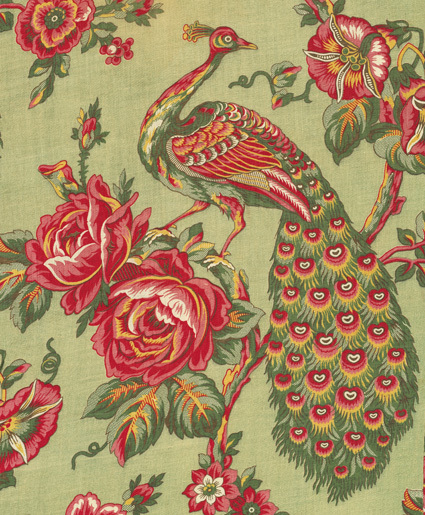 Here are just three of the nearly 200 textile patterns featured. The first two are linings from robes. 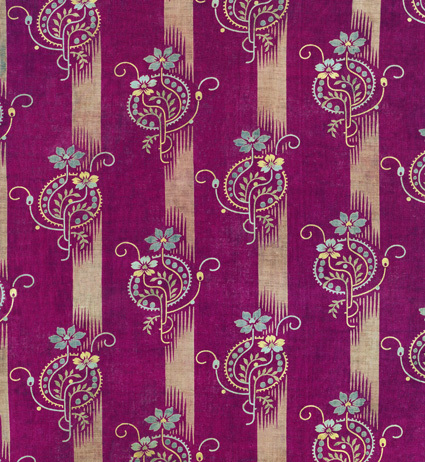 The third one is part of a series of fabrics in which Russian designers tried to depict ways in which the Soviets had "improved" the lives of the Central Asian people.